One of Dota 2’s most decorated players tries a comeback in style. 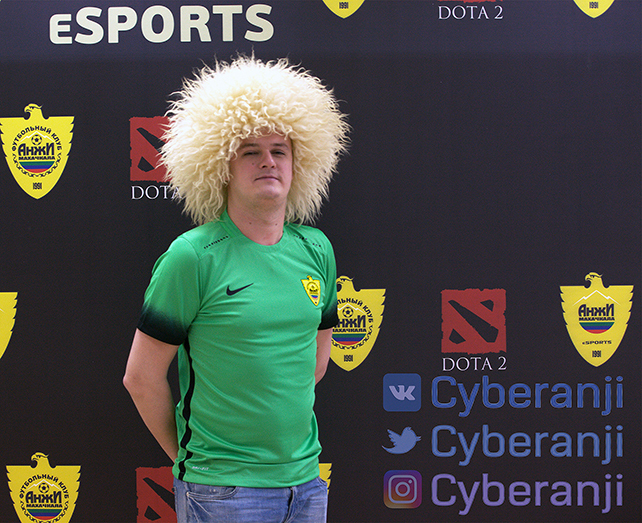 For Alexander “XBOCT” Dashkevich, Russian soccer club FC Anzhi Makhachkala (Anji) is his chance to live down his recent slumps and be remembered as the esports legend he is. FC Anji announced the signing of the 26-year-old Ukrainian Dota 2 carry on March 4. Apparently, the club has ambitious to create a Dota 2 squad under its banner. The remaining four players are yet to be revealed. XBOCT is one of Dota 2’s most decorated players of all time. As the core player of Natus Vincere (Na’Vi) between 2010 and 2015, XBOCT competed in the finals of Valve’s most prestigious tournament, The International, three times. He won the tournament in 2011 and finished second in 2012 and 2013. A plethora of further tournament winnings put about $650,000 into his pockets, and made him the third highest-earning esports pro by prize money in the Ukraine. But the glory of his earlier days has since faded. On Oct. 16, 2015, Na’Vi bid farewell to its Dota 2 roster, leaving XBOCT without a team for the first time in five years. While finding temporary shelter on teams such as Team Empire, Fantastic Five, and later Team Spirit, XBOCT wasn’t able to replicate his earlier successes. Formerly known for aggressive farming, outstanding positioning, and blazing fast decision-making, XBOCT was taunted by fans and pundits increasingly for tilting and throwing games away with incautious actions. Beginning in August 2016, XBOCT didn’t compete professionally in any capacity. Now, after more than a half-year hiatus, he’s trying to comeback in style. By signing with FC Anji, XBOCT is taking a chance to get back on the big stages. And the odds might be in his favor. Vitalii “v1lat” Volochai, a popular Ukrainian Dota 2 caster, called FC Anji’s plans huge. “As far as I know, the budget is bigger than most esport orgs can afford.” According to Volochai, FC Anji’s esports division could be a potential future powerhouse.